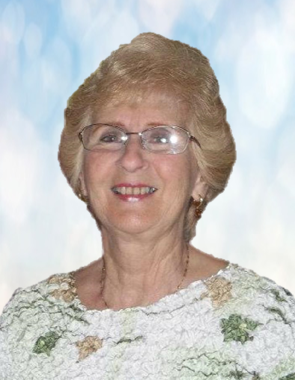 Nancy L. Stahl, 78, of Montoursville, went to be with her Lord and Savior on Thursday February 7, 2019 at UPMC Susquehanna, from a sudden complication. Surviving is her loving husband Charles A. Stahl, Sr., who she married on August 9, 1958. Born April 22, 1940 in Williamsport, she was a daughter of the late Alvin D. and Della M. (Vaughn) Roupp. Nancy was a graduate of Williamsport High School and the State Beauty School. For 23 years Nancy and Charles were the owners of Stahl’s Meat Market in Williamsport. She was a member of Nippenose Bible Fellowship and the Christian Women’s Club. She enjoyed camping, reading and traveling with her husband. Together she and Charles spent many winters in Zephyrhills Florida. Nancy was a loving and compassionate woman who after being a caregiver to others in need she continued to provide her past clients with friendly visits and occasional outings, creating lifelong friendships. Above all else she was a devoted wife, mother, meme, and sister who showed tremendous love for her family. Surviving in addition to her husband are two children Cathy A. Crossley (Alan) of Rauchtown and Charles A. Stahl, Jr. of Montoursville; two grandchildren, Jennifer M. Milbrand (Matthew) of Rauchtown and Matthew R. Stahl of Wilkes-Barre; three great-grandchildren, Arianna, Jessalyn, and Jordan; and two sisters, Gloria Cicerale (Richard) and Sharon Pfirman (Danny) all of Linden. In addition to her parents she was preceded in death by a nephew. A funeral service to honor the life of Nancy will be held 11 a.m. Monday February 11, 2019 at Sander’s Mortuary 821 Diamond St., Williamsport with the Rev. David McCoy officiating. Burial will follow in Montoursville Cemetery. A viewing will be held Monday from 10 a.m. until the time of the service.